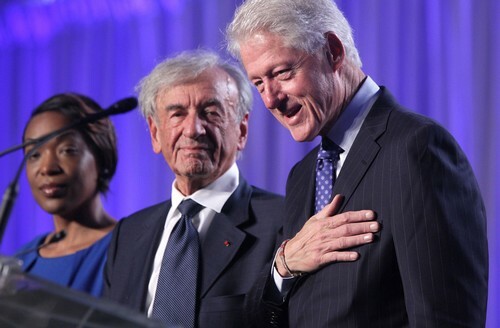 Jewish writer and political activist Elie Wiesel has received an honorary doctorate in recognition of his academic achievements and activities to safeguard peace and defend human dignity. The award was given by the John Paul II Papal University in Kraków. 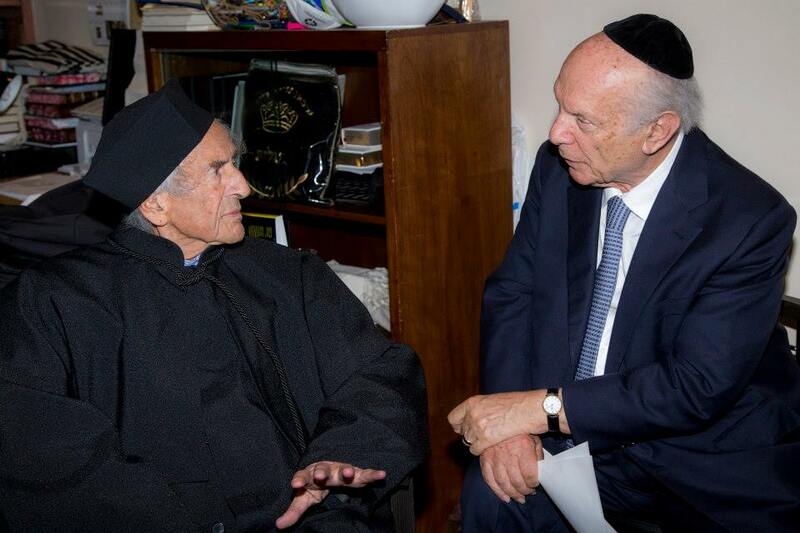 Jewish writer and political activist Elie Wiesel has received an honorary doctorate from the John Paul II Papal University in Kraków in recognition of his academic achievements and activities to safeguard peace and defend human dignity. The ceremony was held on Tuesday at the Park East Synagogue in New York. 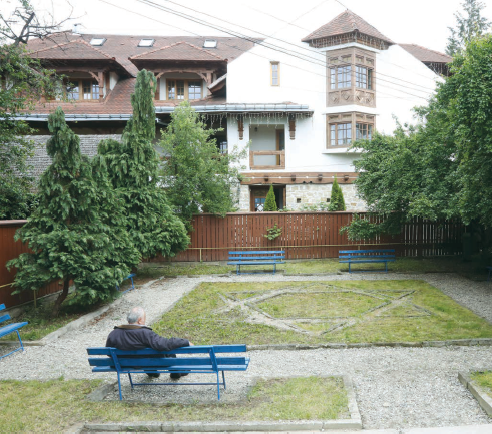 In a citation, Bishop Tadeusz Pieronek stressed Elie Wiesel’s role of a witness of the Holocaust, recalling his remarks in a press interview three decades ago: “Why do I write? In order to save the victims from oblivion. To help the dead conquer death”. 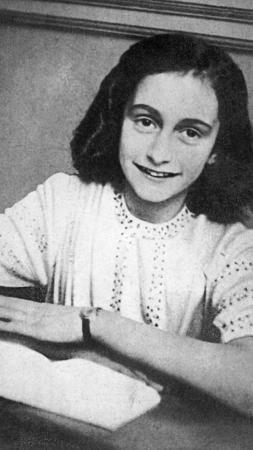 Who has not read and reread “The Diary of Anne Frank?” Who has not been moved by the mischievous and innocent look that this unforgettable young Jewish girl gave to a beaten and ridiculed humanity desperately searching for reasons to hope? Why has this book, above and beyond all others, had such an impact on the world? Because one finds in it purity and sadness, the purity and sadness that only a child was perhaps able to express before dying? We love Anne. We cannot not love her. Of all the people who inhabited her closed universe still open to dreams, it is she who fascinates and touches us the most. One might say she is a guide who invites us to discover a dark, gloomy work. We follow her, we listen to her, we laugh with her, we cry also, we cry even when she laughs, perhaps especially when she wants to make us believe that she is only a young romantic girl who likes to amuse herself as she can. How can one amuse oneself while Death watches with a thousand hateful eyes? How can one lead a normal existence — no, not normal but regular — for two years, in an attic cramped and cluttered where the prisoners knew they were condemned to silence? How can one, in doubt and anguish — if I may paraphrase Camus — imagine oneself happy? 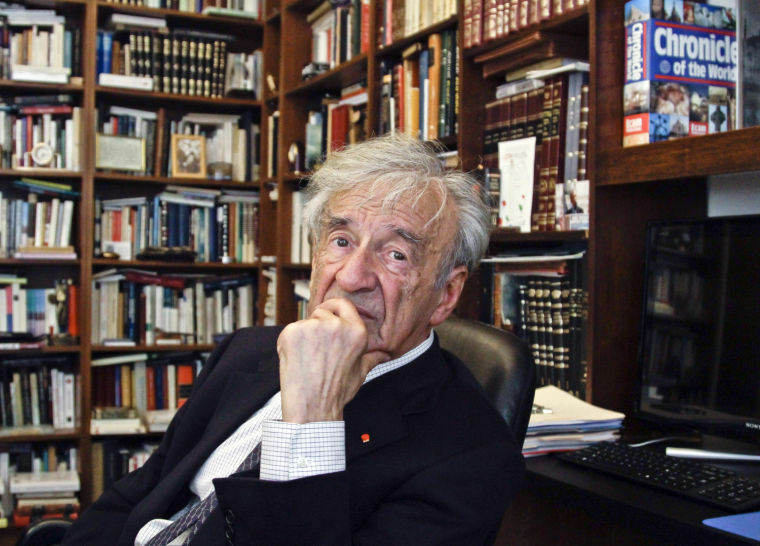 Nobel Peace Laureate Elie Wiesel participated in a roundtable discussion on “The Meaning of Never Again: Guarding Against a Nuclear Iran” in Washington D.C. 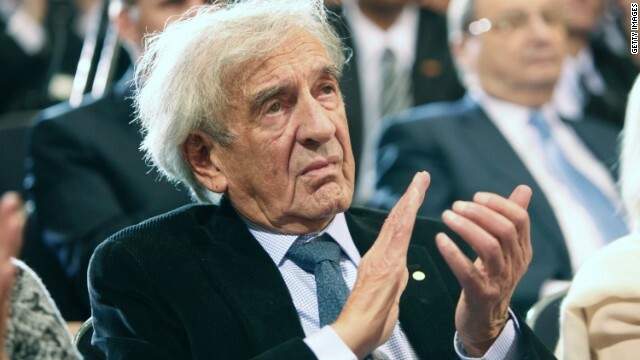 Rabbi Shmuley Boteach announced today that the writer, political activist and Holocaust survivor Elie Wiesel, will attend Prime Minister Netanyahu’s congressional speech regarding Iran on March 3. 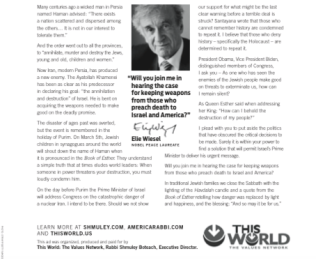 A full-page advertisement declaring Mr. Wiesel’s intention to attend the controversial speech will appear in The New York Times on February 14th to be followed by The Washington Post. 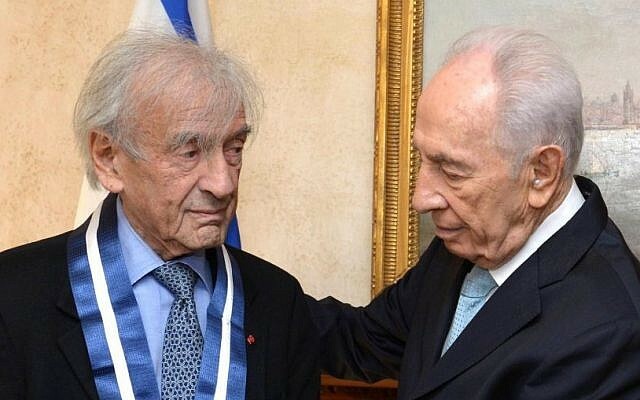 Elie Wiesel, world-renowned author, intellectual and Nobel laureate, received the Presidential Medal of Distinction from President Shimon Peres Monday in a ceremony in New York, for his work commemorating the Holocaust and promoting tolerance in the world. 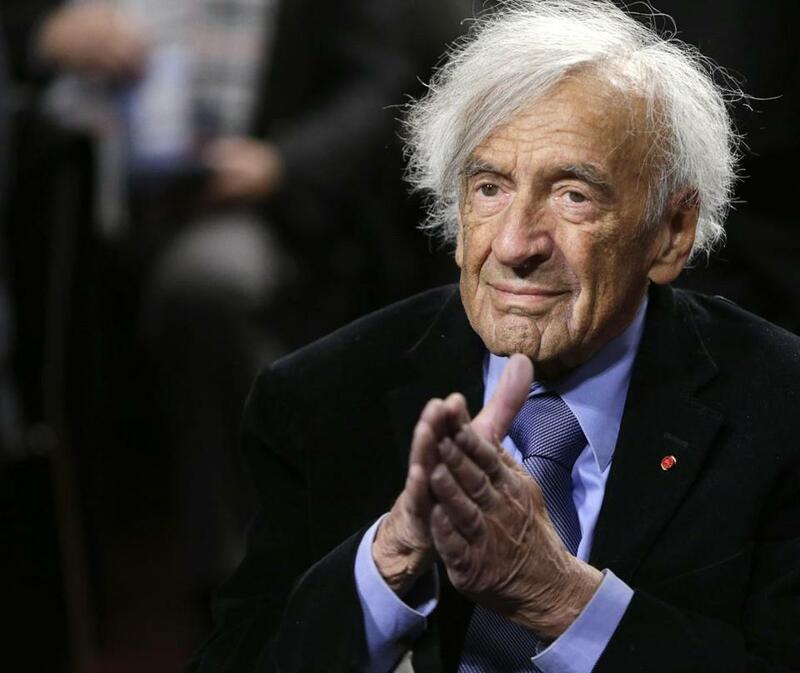 “The Holocaust taught us that killing isn’t done just with guns and weapons, but also with apathy, and you, Elie, are saving the world from that apathy,” Peres told Wiesel during the award presentation. For 20 years, the U.S. Holocaust Memorial Museum has reminded visitors of atrocity, grief and survival. 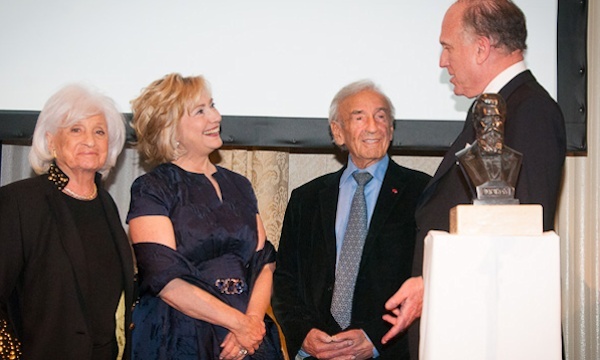 On Monday, nearly 4,000 supporters joined 843 Holocaust survivors and 130 veterans to celebrate its 20 th anniversary and hear speeches from President Bill Clinton and museum founding chairman Elie Wiesel. Under a large tent outside the museum, just south of the National Mall in Washington, D.C., survivors talked with American soldiers who liberated concentration camps, sharing their stories. Ernest Gross, who survived the Dachau concentration camp, searched for years to find a camp liberator. He found one in Don Greenbaum of Philadelphia. The two traveled to Washington to attend the ceremony together. “I was transported from Camp 7 to Dachau to be gassed and to go into the ovens,” Gross told ABC News just before the ceremony, from his seat next to Greenbaum.